This is now a thing that has happened to me. Welcome to the KINGDOM OF THINGDOM! A number of years ago, I was talking with my son, Mose. Who was (and still is) an avid reader of picture books. Mose thought that sounded like a good idea! 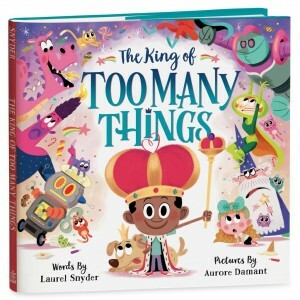 And so, tomorrow, many years later… I am pleased to announce the arrival of my new picture book, The King of Too Many Things! 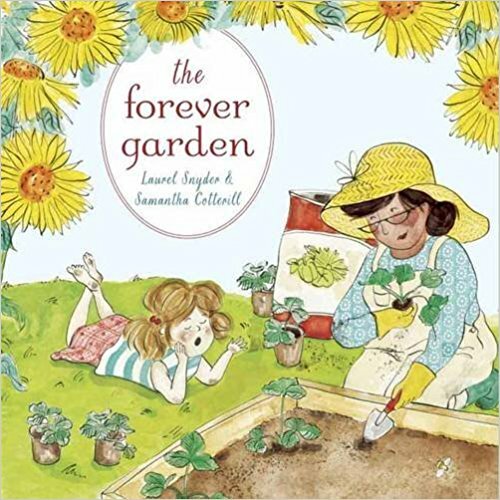 With candy-colored, perfectly-over-the-top art from Aurore Damant, and edited by my friend Eric Wight, this book is part of the very first season of Rodale Kids. I hope you’ll check it out, and I hope you’ll love it! 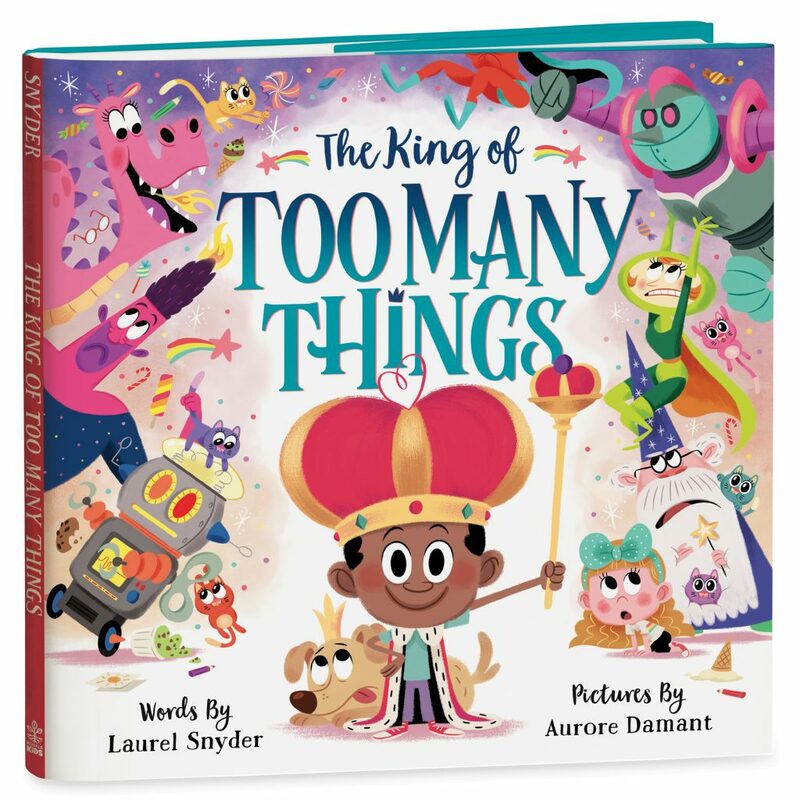 The King of Too Many Things is the story of King Jasper, a boy-king who has access to EVERYTHING HE WANTS. With a magical wizard for his advisor, and the realm at his command, there’s nothing to stop Jasper from living the dream. Except that, as he finds out…. sometimes, less is more. The irony here, of course, is that even as this book teaches kids that they shouldn’t always get their heart’s desire… the book owes its very existence to the fact that, when my son asked for ALL THE THINGS IN A PICTURE BOOK, I did everything in my power to give him what he asked for. Wow, what a season this winter was! The intensity of the political landscape has overwhelmed everything else, for the most part. Mose and Lew and I have spent a lot of time making posters and phone calls, and attending demonstrations, and canvassing, and attending postcard-writing parties. It’s been a scary time for the world, but in a funny way, this has all been energizing season for me, personally, and it’s given the boys a much deeper, more real understanding of the political world, and why we all need to be engaged. While none of that is over, as we head into Spring I’m shifting my focus a little bit (though still making my calls each day, no fear!) 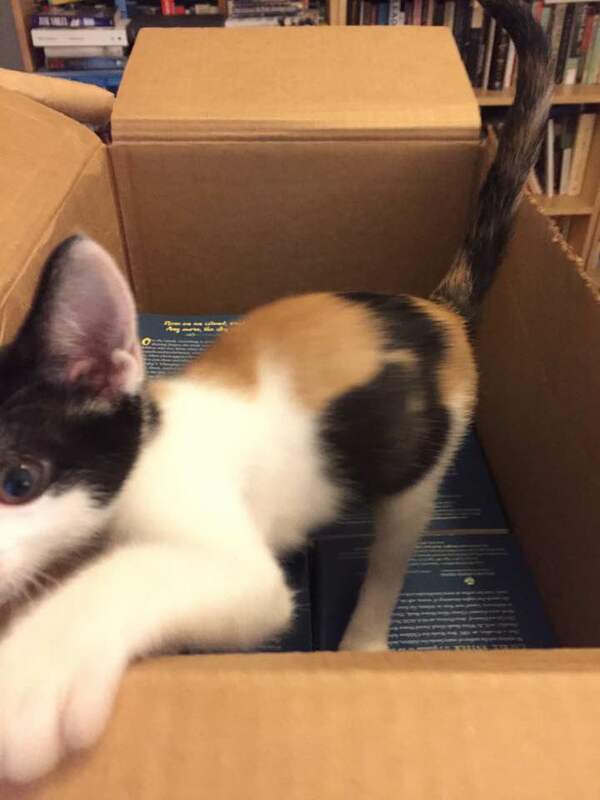 to BOOKS! Because I have three books coming out (THREE BOOKS!) in April and May, and I’m excited and proud, and ready to travel and tell the world. 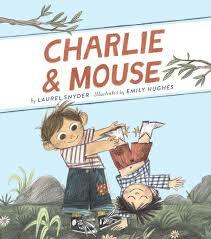 April 11, Charlie and Mouse will be out! And then, on May 2, The Forever Garden will be out! 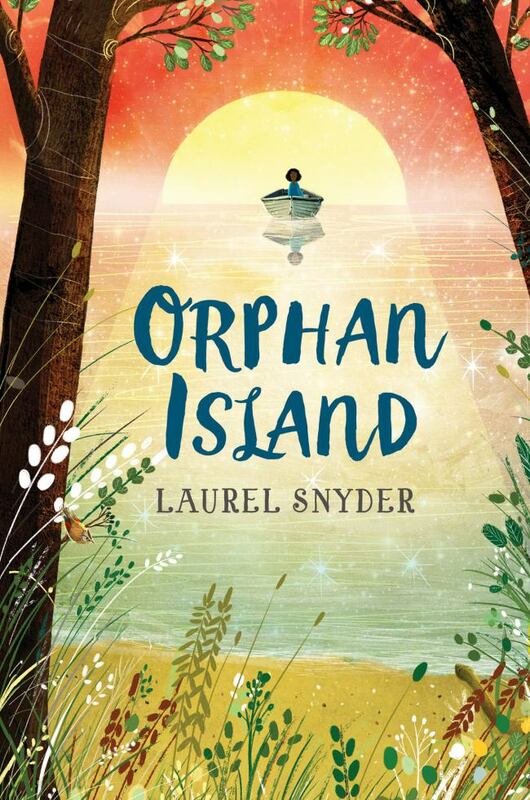 And then, on May 30, Orphan Island will be out! Things are already getting pretty fun. All three books are Junior Library Guild Selections, and a few starred reviews have rolled in. Now I’m planning events and looking forward to sharing the books with actual kids! 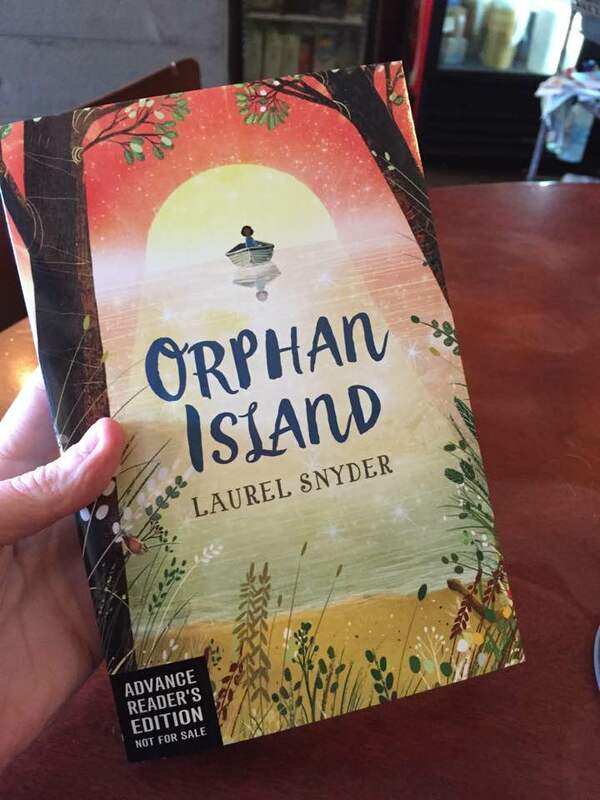 It has taken a long long time for Orphan Island to become a THING, an object, a pile of actual paper. But it was absolutely worth the wait. Especially by these blurbs. Beyond honored. Teary-eyed, really. Meet Eddie the Smacker, our new friend…. “I, too, have been feeling overwhelmed by this season, by the never-ending political and emotional tides roiling and crashing around me. 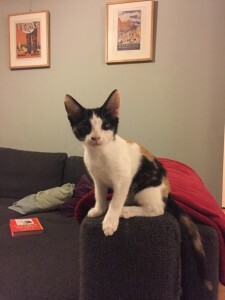 I have been feeling helpless as… well, a kitten. Adrift in a dark sea. I’m taking a deep breath as I type this. I’m nervous to say these things out loud. But it is 2016, and we have elected Donald Trump to the highest office in the land, despite his willingness to incite violence, risk our country’s safety, disrespect women and minorities, and put the most fragile Americans in danger. As a Jew, a woman, a mother and an artist, I’m terrified. As a human, I’m aghast at what my fellow Americans have chosen (and what the rest of us have allowed, by not fighting harder). It is also Thanksgiving today, and out in the west, the Standing Rock Sioux (joined by many others) are fighting on behalf of clean water, the earth, their culture, and ALL of us. We are not supporting them. We are turning a blind eye, as we uncomfortably snap pictures of our kids in paper feathers, as we roast apocryphal turkeys. And then there is the water in Flint, Michigan, which is still undrinkable. The young black men (and women) gunned down in our streets, who so often go nameless. The dire situation in our public schools. The lives lost daily in Syria. Etc. Etc. In short, this world is a mess, an utter disaster. This is not new, but 2016 feels… like a moment. 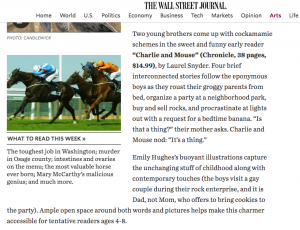 A few years ago, a book came out, called Wonder. Maybe you’ve heard of it? People loved this book, embraced this book. It was a book that showcased how radical empathy might alter lives. Wonder has become an important book for schools, for educating kids about kindness. The book advocated that we all “Choose Kind.” This was a good thing. 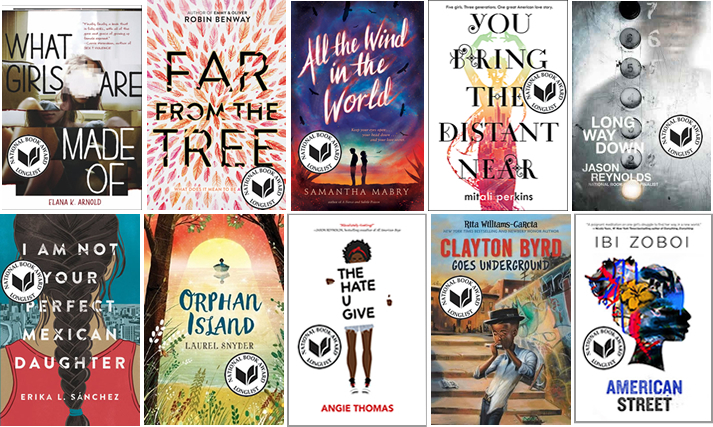 We were all proud of ourselves, of children’s literature, and the power it can wield. We do not “Choose Kind” by not making the homophobe or the racist feel “weird.” By not holding the bully accountable. We can Choose Kind and be radicals. We can Choose Kind by hurting feelings. I know this feels confusing, in the moment when it happens. But I believe this, I really do. Sometimes, Choosing Kind means that YOU have to be the one who ruffles feathers. And in that moment, I could feel myself altering my own tone, shifting my attitude, for her. I did not want to make her feel isolated, alone in her politics. Not here, in this room full of liberal teachers. I felt bad for her, even as I disagreed with her completely. I signed her book silently, tried to smile, and she left. Then I felt dirty inside. This is often the hard moment, for me. The moment when being “nice” to an individual contradicts everything else I know and believe. I am being “nice” to someone, but for all I know, this woman worked to shut down her school’s LGBTQ club. For all I know, she approves of a Muslim registry. In theory, I am furious at this woman. But I don’t really want to make her cry. Not in person, at a conference. And yet–maybe that was a mistake. Maybe there was a conversation she was ready to have. Maybe there, at NCTE, she was rethinking things, struggling, and I missed my opportunity. I guess I don’t really have helpful advice for anyone, around this topic. But it has been swirling in my head nonstop, and today, Thanksgiving, felt like the right day to say it aloud. I think we all need to think about what we mean when we say “Choose Kind.” I think there are moments when we politely agree to disagree. But I also think we’re in an important moment in history. I think that while I believe deeply in kindness, I’m beyond niceness right now. I’m beyond etiquette. I’m ready for justice. I’m ready to Choose Just. Occasionally, someone will suggest to me that we, the children’s authors, should stay out of politics. As though, because we write for kids, we should “keep it light.” I could not disagree more strongly. Because we write for kids, we have an obligation to be political. We have an obligation to educate. To empower. We owe these kids more than bunnies and cookies and easy rhymes. We owe them kindness, always. But we also owe them truth, and justice, and the tools to create their own world. Hopefully a better one. This has been an unbearably hard 24 hours. I woke up yesterday, hungover from the election. I’d had only three hours of restless sleep and (as a result) a small seizure. (this is something I don’t talk about very often in public, my epilepsy, but it’s part of my reality– my preexisting condition- and why Obamacare needs to exist). I had to find a way to tell my kids (who crashed around midnight) that Trump had won. I had to make breakfast, and get them off to school. Then I sat down and wept. After that, I took a shower, did the dishes. I checked my work emails, and called a friend. We met for lunch and wandered around in a daze. Useless. But it was better to be together, sad, confused. It was better to be not alone. It helped to be in East Atlanta, which is, in this home-away-from-home, a family to me. A bubble. It helped to go to the coffee shop and see friendly faces, to have people reach out and pat my back, hug me. To know we’re all feeling this, together. “No,” I said. “I think it’s a utopian book.” And truly, that had been my goal in writing it. The dream of a perfect place. 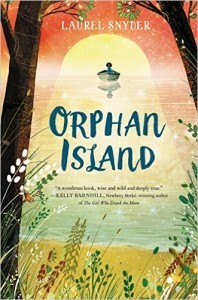 It’s a book about an island, an ideal island, where kids make and do and live with joy and comfort. It’s a lovely place, the island. Full of wild kittens and strange sunrises and starfish fields and ripe fruits. It’s the kind of world we want for our kids. 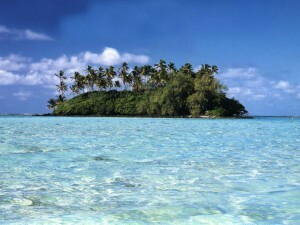 But here’s what I’m thinking about today– the ISLAND only exists as an isolated reality, as a place apart. The world OUT THERE, beyond the mist, that world is still going on (in my head, in the backstory), and it isn’t perfect at all. In some ways the ISLAND’s perfection is necessitated by the imperfections of the world OUT THERE. The island is created by the imperfections of the world OUT THERE. Almost as a negative, an inverse. The OUT THERE necessitates the ISLAND. The brutality and injustice of this world we inhabit demand invention, creativity, dreaming. The reality demands that we imagine something better, and then find or craft or birth it. And that is what art is for. Art is the island. We write and paint and draw islands. In doing so, we offer reprieve, and we incite hope. Most especially in our children, we incite hope. Or we try. Yesterday, I had to tell my children Trump had won. They had to go to school and see their teachers openly crying. They are scared. Today, I will do something different. Today, I will tell them a story. I’ll create an island for them. A world they can dream of, and want to inhabit. So that maybe, in four years, when they are teenagers, they’ll be ready to bring it to life. Full of wild kittens and strange sunrises and strong leaders and fair laws and justice. Many years ago, I went to school to become a poet. I did this in high school, in college, and in graduate school. Because I loved writing poems. I loved reading poems. I loved talking about poems. But… as it turned out, I did not love studying poems. I don’t know why. I had virtually no interest in learning ABOUT poems and poets. ”Schools of thought” didn’t interest me, and I seemed to forget all the things other students managed to store in their brains.. Occasionally, I’d make an attempt to check out “texts” out from the library, but then, almost always, I’d return them unread. I’d listen to other students discussing such texts in bars, and find the conversations fascinating. But I couldn’t make myself do the WORK of becoming an academic in that world. I had to make peace with the fact that though I was a poet, I was not a real academic. I didn’t have the love for study inside me. I decided I must just be lazier than everyone else. Of course, in theory, becoming an academic was still my official goal. I’d gone to school for it, and I loved university life– the community and culture of my college town. Plus, I loved teaching! I loved workshops. I loved the classroom. I loved watching students wake up to language. I just felt like a fraud, whenever I tried to keep up with my well-read peers at a dinner party. Mixing up my modernists. 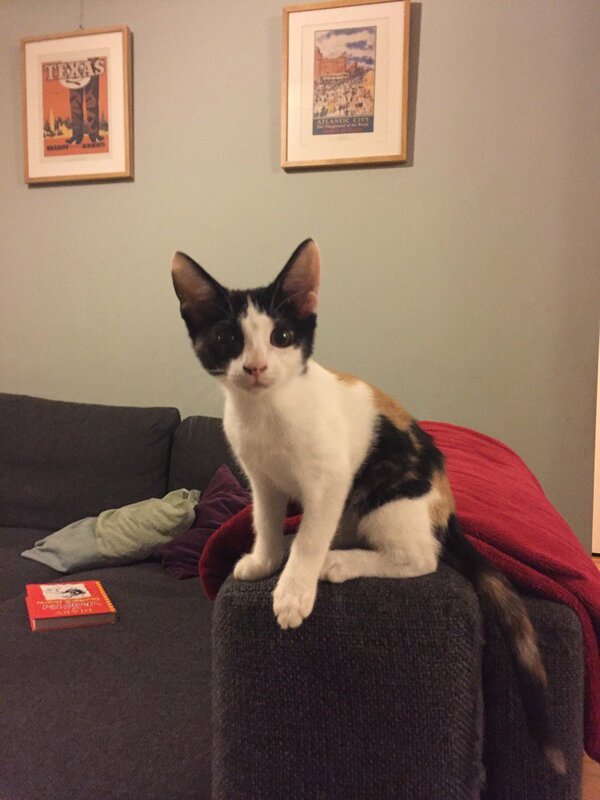 Puzzled by poststructuralism. Books like Minders of Make-Believe and Dear Genius were cluttering up my bedside table. 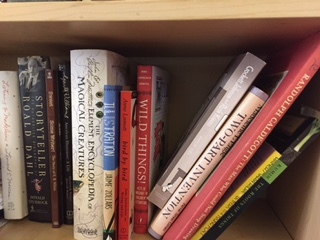 I regularly dipped into my Encyclopedia of Magical Creatures. 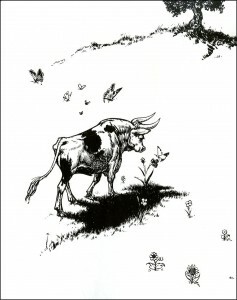 I was re-reading Grimm, and then hunting down parallel stories from other cultures. 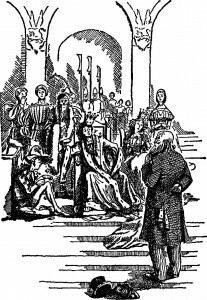 Though poetry hadn’t ever completely caught my interest, the history of children’s literature was absolutely fascinating to me. 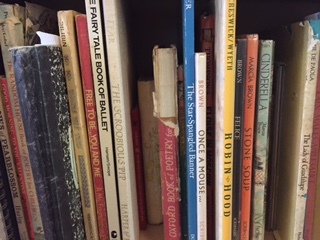 I spent my time thinking about myth and fairy tale, the effects of technology and war on childhood, and how the poetry craft I’d learned in grad school operated in picture books too. 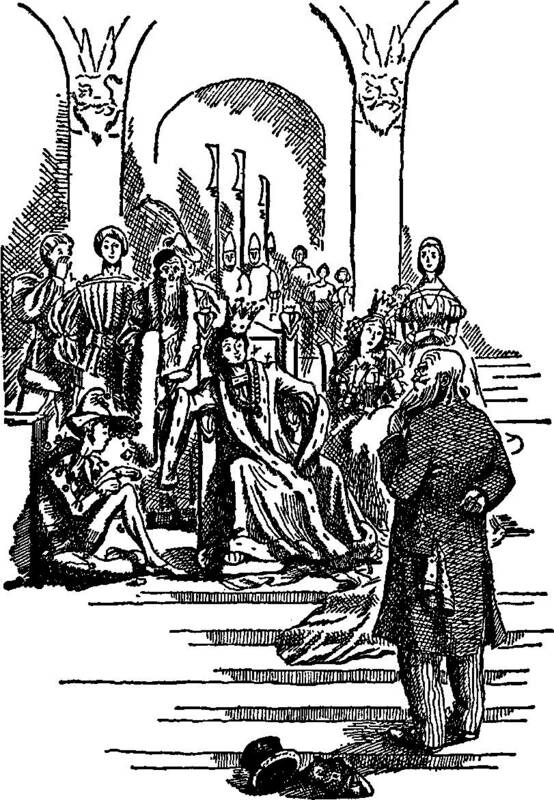 I suddenly had imaginary papers I was writing in my head– about the iconoclasm of Mary Poppins, for instance. Or the historical events that stunted the development of Jewish picture books.I found I was becoming… something of an academic. At last! I’d found the subject that set me on fire. Reading and rereading. Arnold Lobel and Margaret Wise Brown. Edith Nesbit and Noel Streatfield. I had been studying all along. I just hadn’t given myself permission to take my subject seriously. I hadn’t known there was a world for someone who wanted to reread C.S Lewis yearly. I was happy to have found my subject. I was delighted to make friends who geeked out on the same texts I did, and wanted to laugh and gab in bars. To talk about how science and religion intertwined in L’Engle’s work. Or to scan Dr. Seuss. 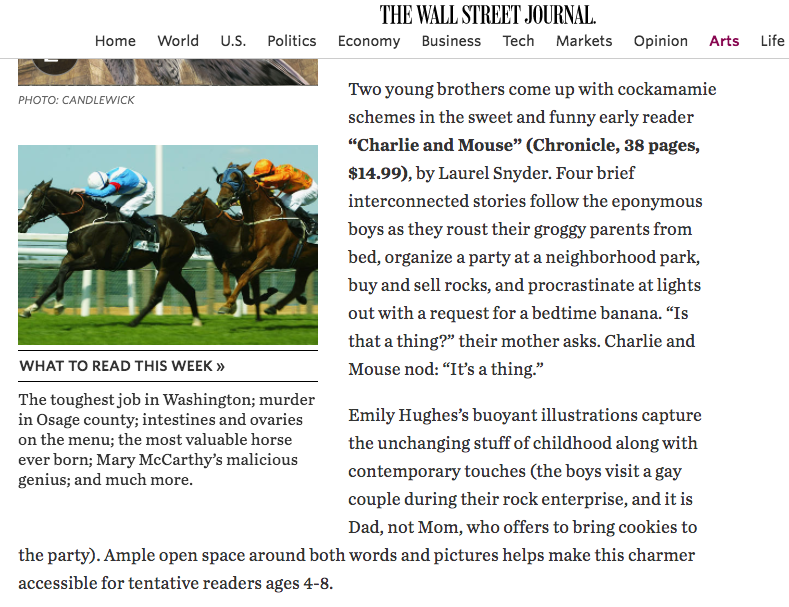 I figured I’d never find a job teaching the craft and study of children’s lit, but I was happy. It was enough to have found a cohort. Well, this week I found a job! This week I joined the faculty of the Hamline MFA in Writing for Children and Young Adults, and in January, I’ll fly to Minnesota, to learn and teach, to meet the incredibly gifted writers and teachers and students who make up that exciting program. I am pinching myself, utterly overjoyed at my good fortune. And I just want to take a second to thank YOU, to thank all of you, who have helped me find my way. Simply by being interested in the same things I’ve been interested in. For helping me take this subject and myself seriously. For being part of the conversation. For studying along with me, here in this space. You are currently browsing the Laurel Snyder blog archives.